Worldwide, ISO 14001 certification for organizations has become the norm, but the Arab world accounts for an insignificant portion of all the certified organizations. 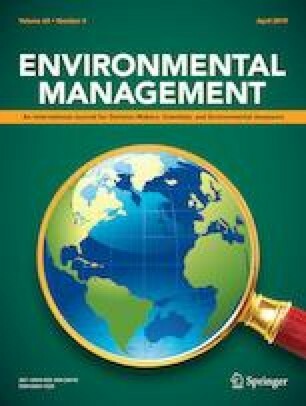 There is a dearth of research on environmental management systems (EMS) in Arab and emerging countries and in public organizations. The objectives of this research are to: (1) examine the key drivers and challenges related to implementation of ISO 14001 certified EMS in the United Arab Emirates, an emerging Arab country and (2) compare and contrast these drivers and challenges between private and public organizations. We adopt an explorative, qualitative methodology, using semi-structured interviews with environmental managers in 11 organizations (6 private and 5 public) from different industrial sectors. Drivers of EMS certification were mostly similar between private and public organizations, with some differences. Compliance with regulations and standards, and increasing environmental performance were the main drivers for ISO 14001 certification in both private and public organizations. Commitment to sustainability was more important for public organizations. Cost reduction, competitors, leadership commitment and customers’ demands were shared drivers, but more stressed by private organizations. Local community and employees’ pressures were reported by private organizations only. The challenges to ISO 14001 implementation were similar for private and public organizations. They were: a lack of qualified human resources, practical challenges associated with implementation, a lack of regulations, a lack of support from management, and high costs. Our findings have implications for managers, academics, consultants, and policy makers in the UAE and other emerging markets. The authors’ appreciation goes out to all the participating companies, environmental managers and the research assistants that helped with this project, and the financial support of the American University of Sharjah. All procedures performed in studies involving human participants were in accordance with the ethical standards of the Internal Review Board of the American University of Sharjah and with the 1964 Helsinki declaration and its later amendments or comparable ethical standards.